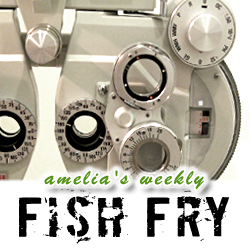 In this week’s episode of Fish Fry, Mario Bergeron (Avnet) and I are scanning the horizon to get a closer look at how FPGAs will shape the future of embedded vision. We explore why embedded vision is a killer app for SoC FPGAs and why there won’t be just one embedded vision to rule them all. Also this week, I check out a new 3D-printed material that changes texture on demand.